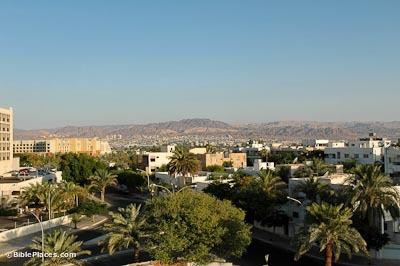 Aqaba is situated on the edge of the Red Sea, opposite the Israeli city of Eilat. In biblical times, there were two cities in this area: Elath and Ezion Geber. 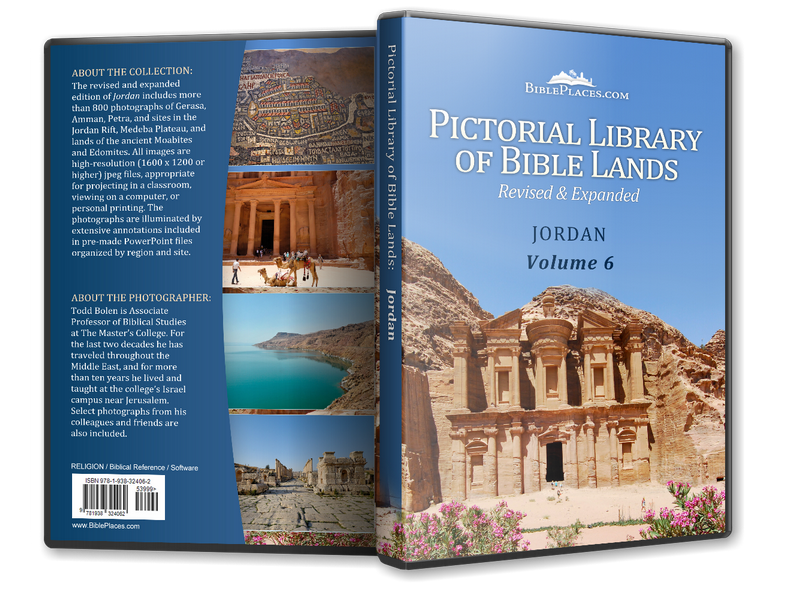 The Israelites passed by this area on their wilderness travels (Num 33:35), and later Moses led them near here on their detour around Edom (Deut 2:8; cf. Num 21:4). Three kings in Jerusalem established a port in this area: Solomon, Jehoshaphat, and Uzziah (1 Kgs 9:26-28; 22:48; 2 Ki 14:22). 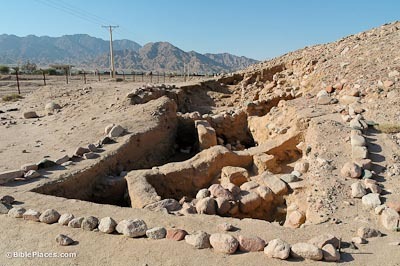 Two miles (3 km) north of Aqaba is Tell Maquss, a site with remains dating back to the Chalcolithic period (4th millennium BC). Some finds indicate that secondary processing of copper occurred here. Possibly copper from mines to the north, perhaps at Feinan/Punon, was transported here for additional working. 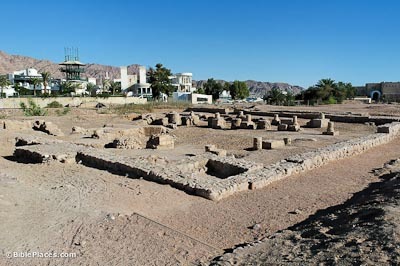 Early Islamic remains from the Umayyad, Abbasid, and Fatimid periods (AD 650-1100) have been discovered at Aqaba. The excavations revealed a misr, a distinctive form of Islamic city planning, that included a mosque, a governor’s residence, and houses. 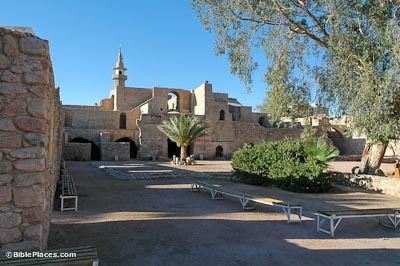 The misr in Aqaba was first built about AD 650. The congregation mosque shown here has a large courtyard with columns on three sides. 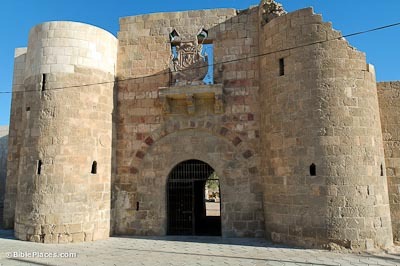 According to an inscription found here, the Mamluk castle was built in the early 16th century. Semi-circular towers flank the entrance and the coat of arms of the Hashemite family is above the entrance. Two large wooden doors can still be closed to block entrance into the castle. In the Byzantine period, Aqaba was known as Ayla, and a bishop from here attended the important Council of Nicea (AD 325). The Byzantine town surrendered to the Muslims in 630.